What do Jimi Hendrix and Martin Scorsese have in common? A lawsuit! The estate of Jimi Hendrix, along with MCA Records and filmmaker Martin Scorsese have been hit with a lawsuit by Lonnie Youngblood, a saxophonist who befriended Hendrix in the late 1960s and collaborated with him on a couple of songs before the guitar legend's death in 1970. 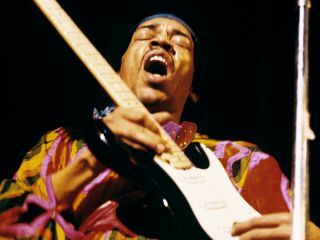 The basis of the lawsuit centers around one of the tracks, Georgia Blues, which was included on 2003 compilation Martin Scorsese Presents The Blues: Jimi Hendrix, a soundtrack to accompany a documentary film series by the legendary director. Youngblood alleges he was not asked for permission to include the track on the album and was not credited as a creator of the track, which he claims he released on the internet and copyrighted in 2002. According to court papers, a lawyer from the Hendrix estate offered Youngblood $3,000 for rights to the song, which he refused. The now 68-year-old musician seeks unspecified damages for the song's release. "It's the principle," he says. "I want my song back. They had no right to take my song."